Earphunk will be performing at the New Orleans Earth Day Festival & Solar Derby 2015! This New Orleans born-and-bred progressive-funk quintet has performed at huge festivals such as Electric Forest, Bear Creek, and Wakarusa. Come see the magic that is their high-energy, dynamic live show with us at Palmer Park on April 18th. Categories: 2015 Earth Day | Tags: 2015 Earth Day, 2015 New Orleans Earth Day Festival, April 2015, Earphunk, Earth Day, Earth Day Festival, free music, Free music festival, green, live music, local, music festival, New Orleans Earth Day Festival, Palmer Park, sustainable | Permalink. 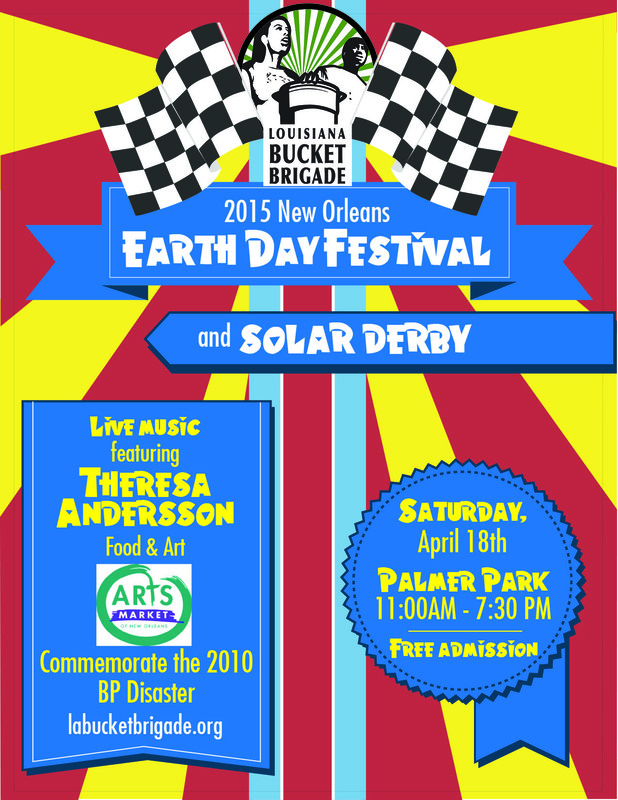 Theresa Andersson will be headlining the New Orleans Earth Day Festival & Solar Derby 2015! This singer-songwriter and multi-instrumentalist has performed at Jazz Fest and Voodoo so a free show of hers is not one to miss. Categories: 2015 Earth Day | Tags: 2015 Earth Day, 2015 New Orleans Earth Day Festival, April 2015, Earth Day, Earth Day Festival, free music, Free music festival, green, live music, local, music festival, New Orleans Earth Day Festival, Palmer Park, sustainable, Theresa Andersson | Permalink. Thanks for coming out and sharing Earth Day with us! We had so much fun celebrating sustainability in New Orleans! Did you miss Earth Day this year, or do you want to enjoy even more dancing and fun? Our Dance-A-Thon is coming up soon! Register today to dance, fundraise for clean air, and enjoy 12 hours of entertainment with dance lessons of all types, live performances by Africa Brass and others, DJs, prizes, costume contests, and more at this year’s Flarey Tales-themed Dance-A-Thon, July 26th at the Healing Center. See more at labb.dojiggy.com. 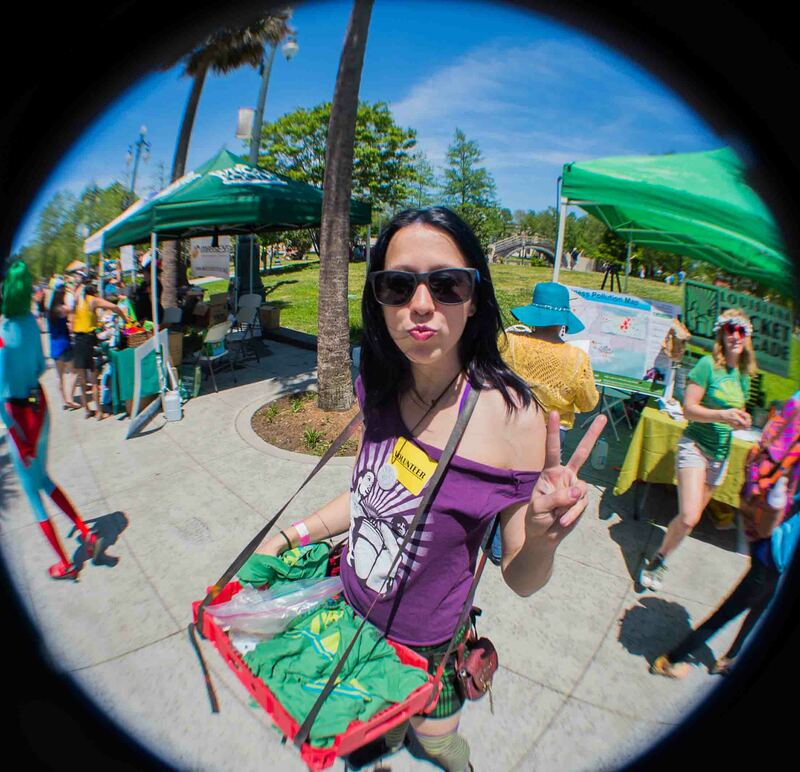 Categories: 2014 Earth Day | Tags: 2014 Earth Day, 2014 New Orleans Earth Day Festival, Dance-A-Thon, Earth Day, Louisiana Bucket Brigade, New Orleans Earth Day | Permalink. Africa Brass is going to have special guests on Saturday. Luther Gray is a drumming legend who has created two major musical groups: Percussion Incorporated and Bamboula 2000, for which has twice won a Big Easy World Music Award. He is also credited with the founding of the Congo Square Foundation, which began in 1989, and leads a drum circle every Sunday afternoon in Congo Square. Anier Alonso del Valle- master conguero from Cuba has performed with Conjunto Folclorico Nacional de Cuba, we are blessed to have Anier as a member of Africa Brass. Rick Trolsen- trombone, has performed with Bonerama, Neslort, Lina Prima, Dr. John, and is a great bandleader as well. We are going to invite Gen. Honore to play a drum with us, and we hope to become members of his Green Army. Categories: 2014 Earth Day | Tags: 2014 Earth Day, 2014 New Orleans Earth Day Festival, activities, Africa Brass, April 2014, Armstrong Park, Earth Day, Earth Day Festival, Earth Day New Orleans, Festival, free festivals, free music, green, live music, local, Louis Armstrong Park, Louisiana Bucket Brigade, Music Line Up, New Orleans, New Orleans Earth Day Festival, Schedule | Permalink. Thanks to Juan’s Flying Burrito! Special thanks to Juan’s Flying Burrito for their support of our volunteer Earth Day Planning Committee! The Earth Day Planning Committee is at the core of many important aspects of the festival including the Green Business Expo, the Kid’s Tent, the Silent Auction, and more. We deeply appreciate Juan’s generous food donations that enabled us to thank our amazing Earth Day Planning Committee in delicious style! Categories: Uncategorized | Tags: 2014 Earth Day, 2014 New Orleans Earth Day Festival, activities, April 2014, Armstrong Park, Earth Day, Earth Day Festival, Earth Day New Orleans, Festival, food, free festivals, Green Business Expo, Juan's Flying Burrito, local, Louis Armstrong Park, Louisiana Bucket Brigade, New Orleans, New Orleans Earth Day Festival, volunteer | Permalink. 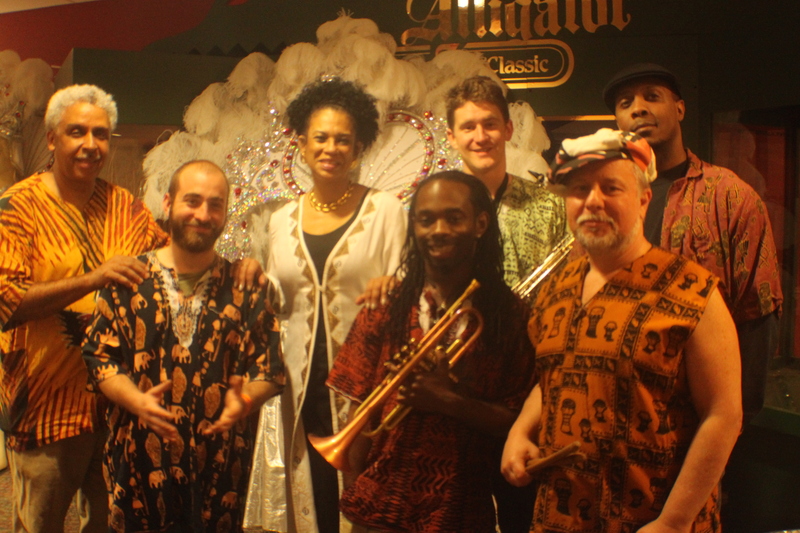 The incomparable Team Sno (Slam New Orleans) will take the stage at 4:45pm on Earth Day! 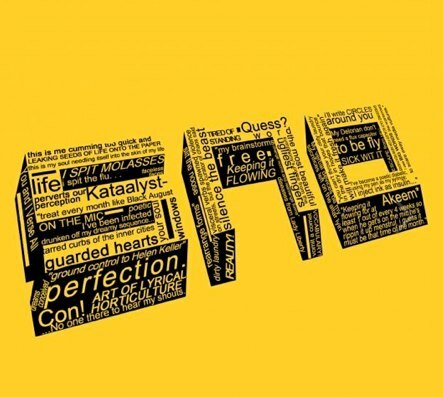 Don’t miss your chance to hear this three-time National Poetry Slam winning group of incredible local poets. They rock! Categories: 2014 Earth Day | Tags: 2014 Earth Day, 2014 New Orleans Earth Day Festival, activities, April 2014, Armstrong Park, Earth Day, Earth Day Festival, Earth Day New Orleans, Festival, free festivals, local, Louis Armstrong Park, Louisiana Bucket Brigade, New Orleans, New Orleans Earth Day Festival, poetry, Schedule, Slam New Orleans, spoken word, Team Sno | Permalink.